Published: June 4, 2013 by Henry Holt & Co.
Synopsis (from Goodreads): Hunted across the True Sea, haunted by the lives she took on the Fold, Alina must try to make a life with Mal in an unfamiliar land. She finds starting new is not easy while keeping her identity as the Sun Summoner a secret. She can’t outrun her past or her destiny for long. 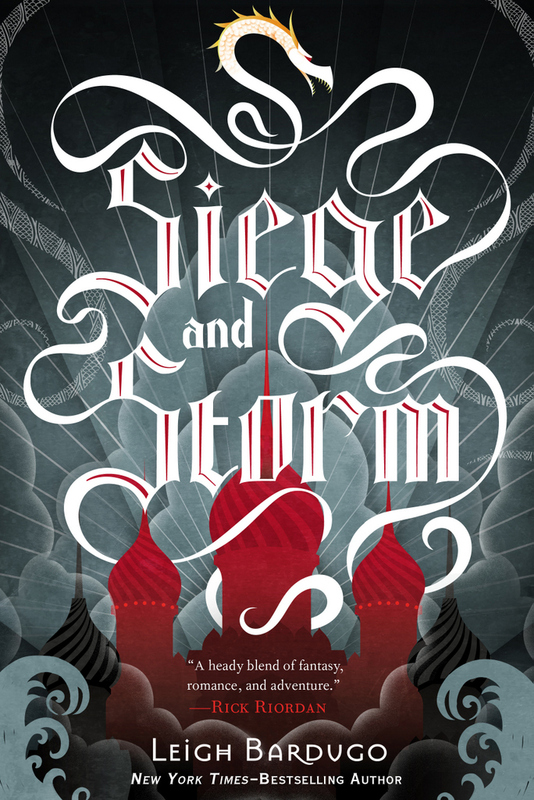 I had feared Siege and Storm would fall victim to the curse of the sophomore novel in a series and drag in comparison to its predecessor, but I was pleasantly proved wrong! I will admit that I took a break from reading it for a while because of how much Mal was aggravating me as a character, but I knew I couldn’t avoid reading the books just because of him so I picked it up again and was once again immediately enthralled. This book follows what happens to Alina immediately after she escapes the grips of the Darkling at the end of the first book, when she and Mal escape across the True Sea and take refuge in the neighboring country, hidden in their anonymity. However, word of the Sun Summoner is spreading and their safety is once again threatened. We meet a whole new cast of characters in the sly privateer Sturmhond and his motley crew of seafaring renegades, most notable the Heartrender twins Tolya and Tamar. I found all of these characters immediately likeable and fell into step with their dialogue and action just as easily. As you all probably know by now, the Darkling is my favorite character in the series. He could (and will) level cities, and I would continue to adore him as I do. On the other hand, my dislike for Mal knows no bounds. Something about him just doesn’t vibe with me, and as a result I found his behavior throughout this book to be quite annoying. I sorely missed the presence of the Darkling in this story, as he took a step backward and other characters like Nikolai, Tolya, and Tamar took center stage. I won’t complain, though, as I loved these characters very much and found their presence refreshing to the existing cast of characters we know and love. Though this book at times could feel like filler exposition that set up the third book, there was never a dull moment. Nikolai’s charm and cynicism were delightful, the imagery throughout the book was spectacular, and the ending was just one great big whirlwind of emotions. Altogether, this book gets four stars from me because of how incredibly well thought out and executed the plot was. New characters that were introduced brought a lot to the table and did not disappoint. My favorite characters’ presence was sorely missed, however. This book did a wonderful job wrapping up what occurred in Shadow and Bone and setting up what’s to come in Ruin and Rising. Are you a big Grisha fan? 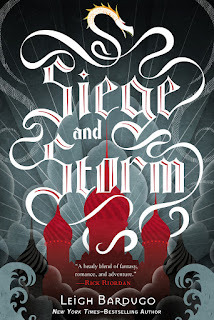 Let me know what your favorite part of Siege and Storm was, or who your favorite new character was! When reading this book, I was Team Nikolai: not the most romantic choice, perhaps, but certainly an intriguing one (political marriages in history fascinate me). I just finished Grisha #3 (though I haven't reviewed it yet). No spoilers, but I think the finale of the series is totally worth it! I've actually had this review finished for quite some time, I just never got around to publishing it! I also have finished the trilogy and was a little disappointed with the ending, although the series itself was still very beautiful and felt complete. What happened to the Darkling absolutely broke my heart.